Quayside Fresh has teamed up with Philip Warren, Graziers & Master Butchers, of Launceston to provide the local community with an unrivalled selection of fresh meats. Philip Warren are professional Cornish butchers who farm and work closely with local farmers to deliver great meat to both residents and commercial premises in SE Cornwall. Established over 100 years ago, Warren’s are professional butchers who run what is possibly one of the oldest farm shops in Cornwall, dating back to 1880, in Launceston. Warren’s farm and sell indigenous breeds of British cattle, such as Red Devons, Angus, Dexters, Herefords and Galloways. Warren’s pride themselves on being different from most other “direct from farm” meat suppliers as they are professional butchers who farm. 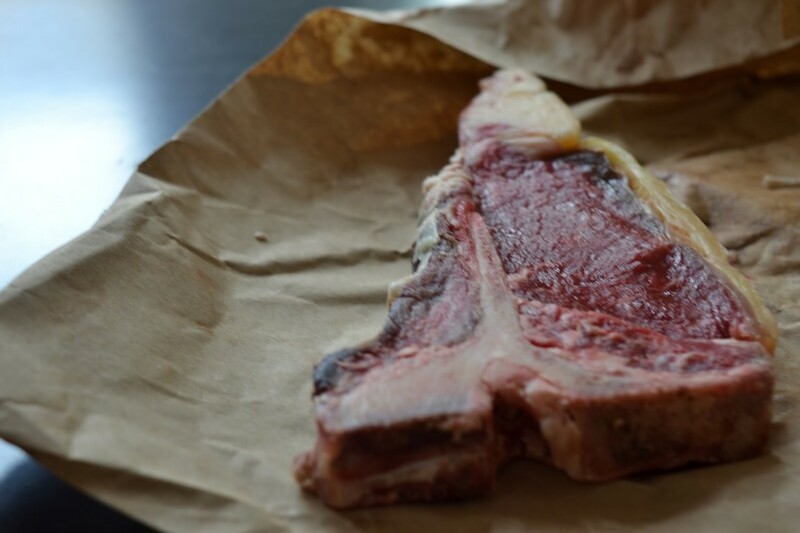 They have been farming and butchering since the late 1800’s and to this day still “dry age” and mature their meat the traditional way, on the bone, before cutting for today’s modern consumer. As well as farming themselves, Warren’s work with many other small farmers who farm the margins of Dartmoor and Bodmin Moor and throughout the grasslands of the Tamar Valley. It is here where you will find Warren’s in the historic market town of Launceston, the ancient capital of Cornwall.